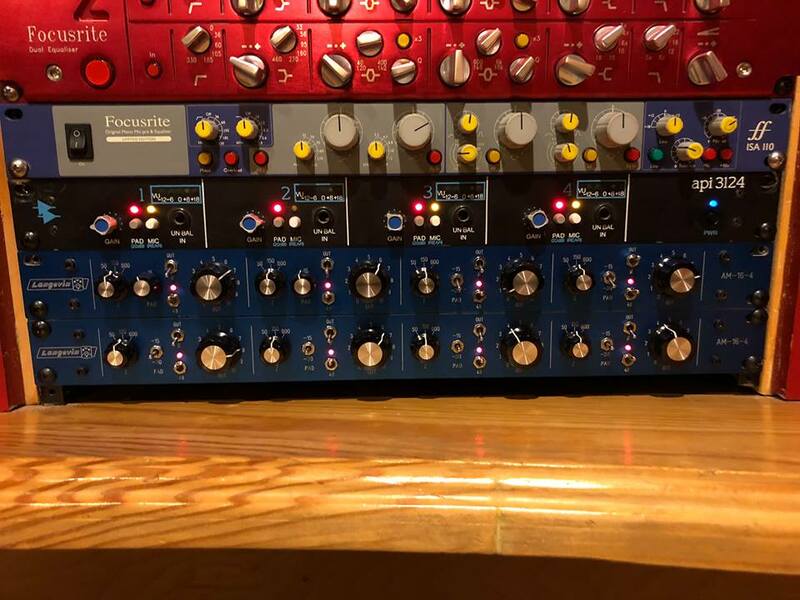 We picked up a few legendary pieces of gear this week. Eight channels of Langevin preamps from the audio console for the Johnny Carson Show at NBC Studio 2 in Burbank dating back to the mid 60’s. 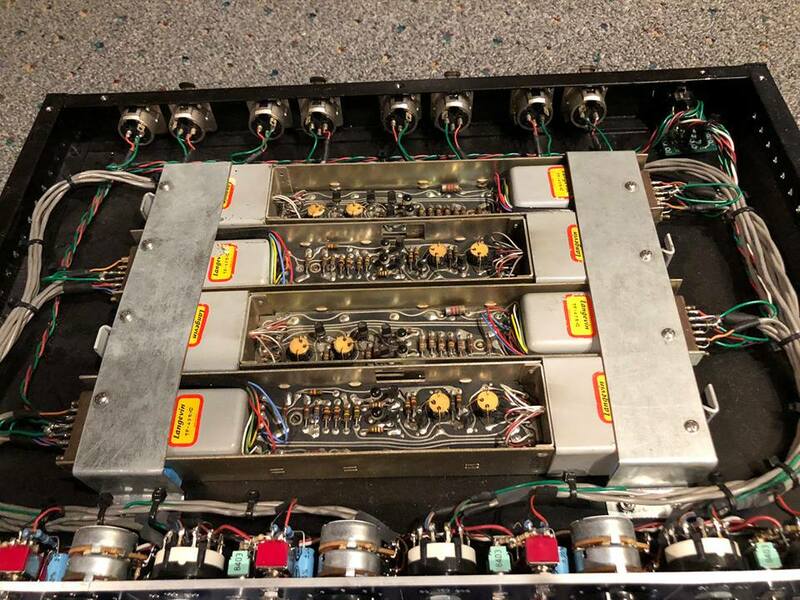 Langevin was a custom high end audio manufacture in the 60’s and 70’s. In 1967 The Johnny Carson Show commissioned Langevin to build a state of the art console from scratch. This console was in use from then until 1990 when the Carson show went all digital and threw out the old Langevin console. The 1st engineer for the Carson show, Ron Estes, salvaged all of the modules from the trash. After sitting on them for years he eventually started selling it off. 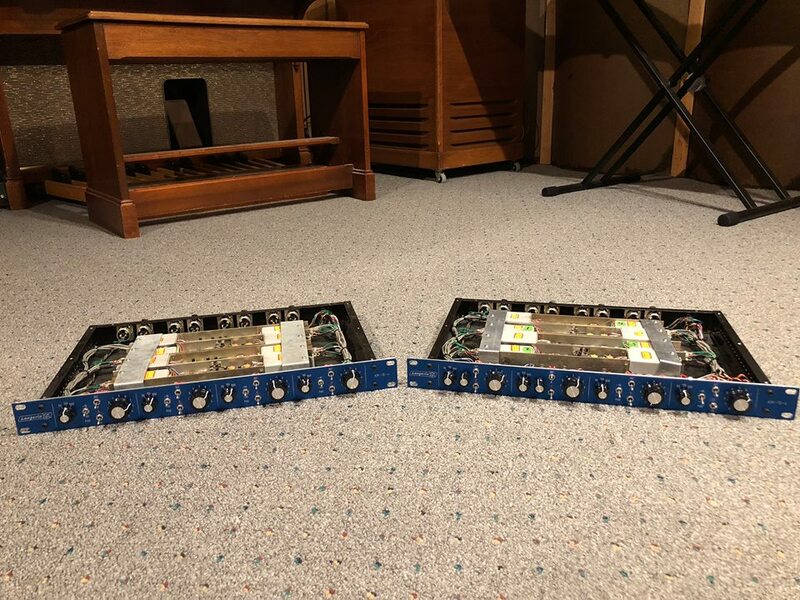 These raw preamp cards were purchased from him and racked by Orphan Audio, a company that specializes in restoring classic studio equipment. After much haggling they made their way to us .